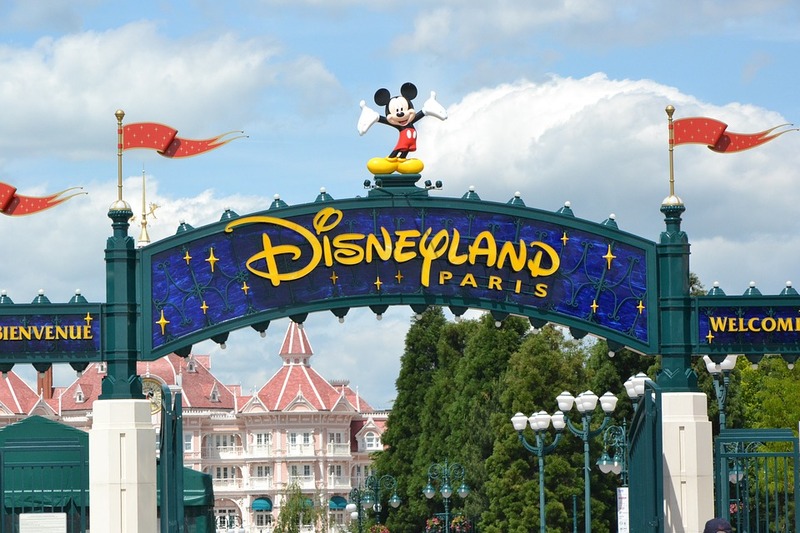 We couldn't wait for our family holiday to Disneyland Paris; a nice break away mingling with the likes of Mickey, Donald, and Goofy. An exciting holiday for the family, sure, but one which would involve a lot of walking, and as my mother has trouble over long distances, we decided to hire an i3 folding travel scooter from Cavendish Healthcare. Our Eurostar departed from Ashford. Here's where the i3 mobility scooter began to prove invaluable as the check-in was quite a distance from the car park. Thanks to the i3, my mum was able to keep up with us meaning we reached the reception desk without any issues. The i3 mobility scooter is very compact and folds down to roughly the same size as a suitcase. This made it easy to get on board the train, and was just right for the baggage rack; so no special help was required. 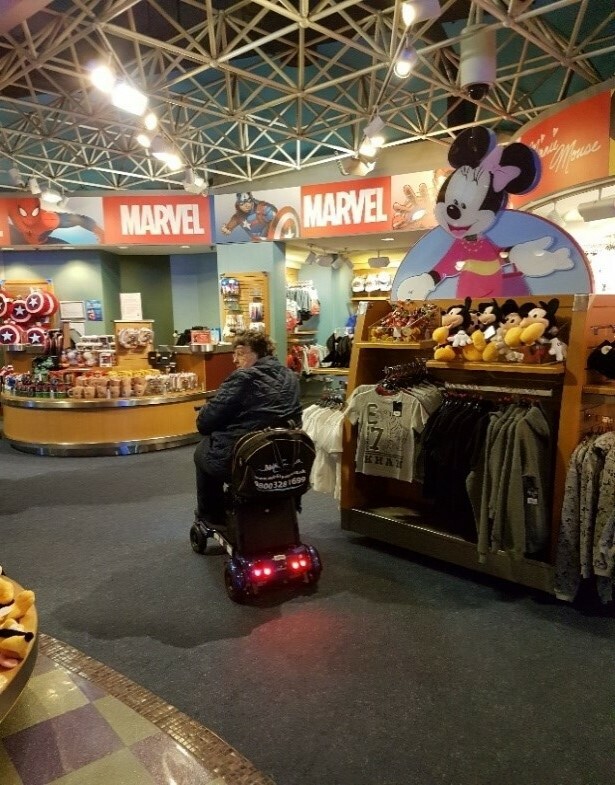 Once we arrived at Disneyland Paris, the i3 mobility scooter was certainly put through its paces, as it was used every day. Surprisingly, there wasn't a section of the theme park where the i3 couldn't go! It was perfect for all the shops and restaurants too. In fact, it was compact enough to be driven right up to the tables. We made sure that the i3 mobility scooter was charged each night. A full charge was more than enough to last the following day. The second battery wasn't needed, although it would be useful when travelling a little bit further. It didn't take my mother long to get the hang of the controls; she was leaving us behind in no time! Overall, I would highly recommend using the i3 mobility scooter for any holiday. We were provided with a copy of the lithium battery certificate, just in case, but weren't asked for it at any point. There was a lot of interest from other holidaymakers, especially as we were still able to make use of regular taxis, leaving people with larger mobility scooters behind. Thank you very much, I wouldn't hesitate to use this mobility scooter again. 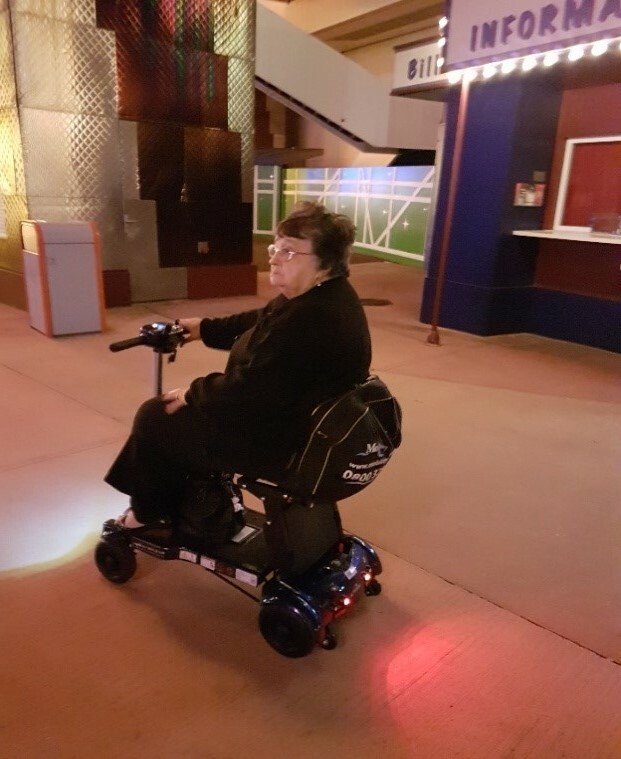 If you're looking for a portable folding mobility scooter for your holidays, or to make everyday life much easier, then please call us on 02392 255600. We'd be more than happy to help.